What skills are most important for your success in 2017? Caroline Beaton, contributor for Business Insider, recently interviewed more than 100 HR managers, recruiters and CEO’s and found that soft skills outweigh technology skills coming into 2017. Beaton found that these four skills are the most sought after when leaders are looking for new stars in their organization. Attention: Being able to focus is the new gauge of how smart or capable a candidate is (replacing former measures such as IQ tests and aptitude tests). According to Jake Rozmaryn, CEO of Eco Branding, his firm sees lots of “careless typing and formatting errors in millennial applicant writing and work samples, cover letters, resumes, etc.” Furthermore, focus can also show your ability to multitask and follow through on tasks. 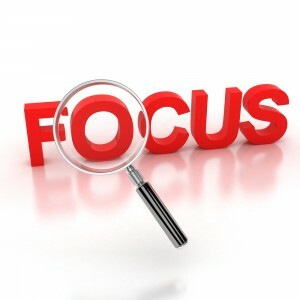 Being able to hold your focus and attention is a huge predictor of success in today’s fast paced world. More than college: Being willing to continue your learning outside of the classroom is something that the leaders of 2017 are looking for when recruiting new talent. Jake Rozmaryn, CEO of Eco Branding, told me that his firm sees lots of “careless typing and formatting errors in millennial applicant writing and work samples, cover letters, resumes, etc.” Simply having a college degree (while still important for many employers) is not the be-all-end-all it once was. You have to prove that you are willing to continue learning, to become engrossed in the knowledge that you will receive at your new place of employment, to bring innovative ideas, and to shake things up while still absorbing the information you need to succeed on the job after graduation. Agility: The ability to adapt to an ever-changing environment is key to success in the burgeoning industries of technology, engineering, and IT. Unfortunately, millennials seem to suffer in this area, as noted by leaders in the interviews Beaton performed for her study. Beth Perkins, talent acquisition manager at Delphic Digital, has noticed that millennials often “expect things to go their way” and, if they don’t, “move on rather than sticking it out and finding a solution.” Interestingly, being told no and responding with a new solution is what many leaders are seeking in new talent. Gone are the days of “yes sir, no sir” mentality, and here we are faced with a crop of leaders who want their employees to have a voice, to push back (respectfully) and to think outside the box. “If you can find grit in their story, such as having been told no or that they’re not good enough, that turns into a soft personality trait I’m looking for,” said Nick Powills, founder and CEO of No Limit Agency. Humility: We as a culture have taught our children that they are invincible. It’s no wonder then that our millennials and Generation Z (aka Post-Millennial) kids coming into the workforce now are expecting huge demands to be met the minute they walk in the door. Instead of asking what the vacation policy is, some candidates fresh out of college are walking into job interviews demanding a week off next month for a planned trip, flextime options, and a $160k salary for an entry-level position. Staying humble, being open to change, and wanting to learn are all ways for every single one of us to grow as people and to offer innovative ideas to the company, industry, and workforce at large. Now, for all of our leaders reading this blog, let’s take a look from the flip side. Are these all qualities that you want from your top talent? If so, how can you implement policies and company culture that allows for and invites these traits? If you’d like us to take a look at your current company structure and suggest changes to your organizational atmosphere, give us a shout. We love seeing change in our clients’ company culture and welcome the opportunity to discuss how we can help.